Track and log the time spent on JIRA issues. Developer website: blackmirror media ltd.
Is there a better alternative to Time Tracker For JIRA? Is Time Tracker For JIRA really the best app in Developer Tools category? Will Time Tracker For JIRA work good on macOS 10.13.4? 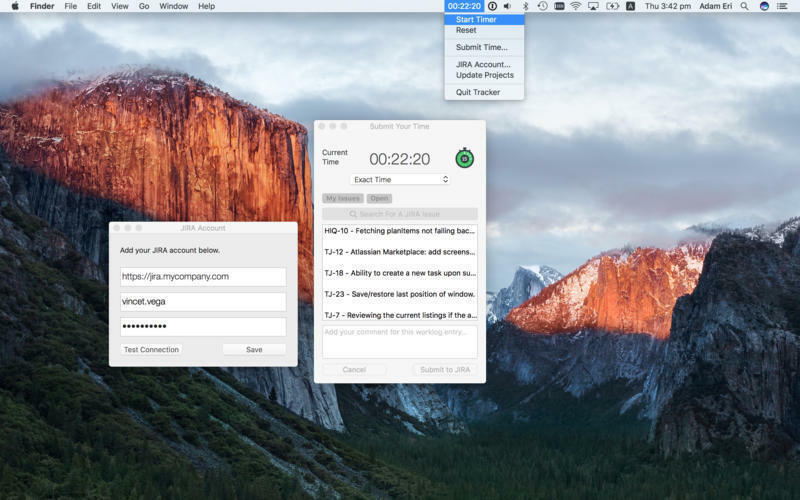 Time Tracker for JIRA is a macOS status bar app to track and log the time spent on JIRA issues. 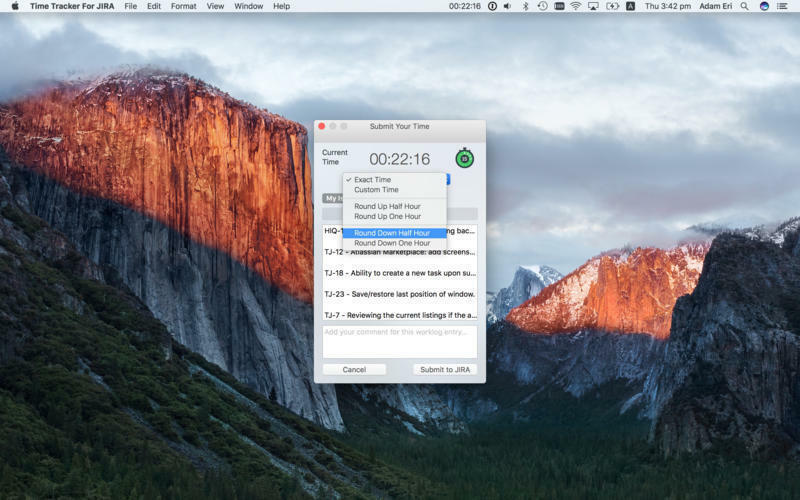 Time tracking is made easy with this super-simple time counter on your status bar. Customers from all over the world record time and improve productivity with Time Tracker for JIRA. Track time seamlessly with the app built in the status bar. Start, pause, reset and submit time with just one click. Save time on submitting work log with search and filter options. Time Tracker For JIRA needs a review. Be the first to review this app and get the discussion started! Time Tracker For JIRA needs a rating. Be the first to rate this app and get the discussion started!